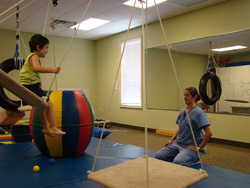 Occupational Therapy Atlanta, GA :: Children Therapist Buford GA, Gwinnett County :: TSG, Inc. Therapy Solutions of Georgia, Inc. provides a variety of services to children with disorders. Clinicians work individually with children to help them reach their maximum potential. Services are provided at our clinic and in the community. Following is a list of occupational therapy services available and some of the more common diagnoses treated at Therapy Solutions of Georgia, Inc.
Parents searching for occupational therapy near Atlanta, Georgia, contact TSG today. Our certified therapists are here to help your child achieve maximum potential. Children who struggle with daily activities greatly benefit from occupational treatment programs. Proudly serving North Georgia including Suwanee, Dacula, Gainesville, Buford, Gwinnett County and the surrounding area. We are happy to file claims with most insurance plans and are in network with many insurance carriers. We accept insurance, private pay, Medicaid and PeachCare for Kids. We are able to process payment by Visa or MasterCard credit cards and debit cards including FSA, HRA, and HSA accounts. We also provide services through Georgia's Early Intervention Program, Babies Can't Wait. If you have any further questions or to schedule an appointment, please give us a call. TSG, Inc. - Georgia Occupational therapist serving serving Buford GA, Dacula, Suwanee, Lawrenceville, Gwinnett and the surrounding area. 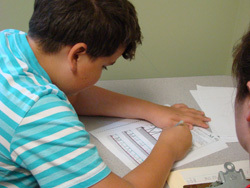 If your child is need of special needs therapy, schedule an appointment today. Buford Occupational therapy near Suwanee, GA serving the Gwinnett County area. Certified therapists helping children manage their disabilities. If you have any questions, feel free to give us a call.